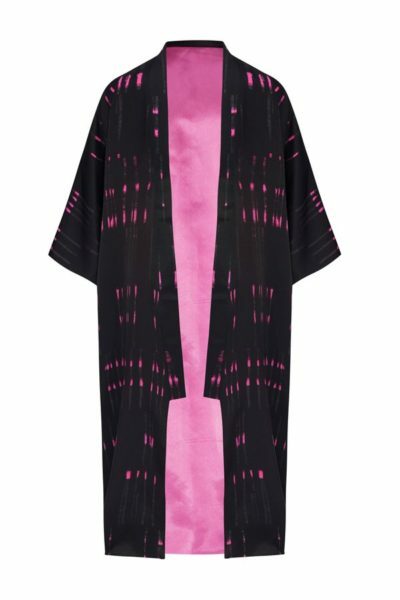 This kimono cape is reversible. Tailored from a vibrant military green velvet fabric and printed silk. The print of this kimono gives a romantic and delicate feeling, mystique and exotique reminds come from a magic forest background with an unconventional art meaning. 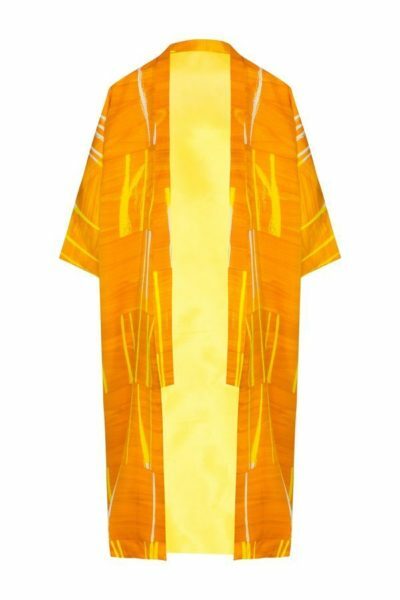 The reversible cape presents, on the back, the Arena Martinez logo embroidered in gold to connect every woman to a luxurious status identity.